For our December event we've got Christos Matskas from Microsoft giving us a talk on the new kid on the block - .NET Core. Please note the change of venue for this month, we're back to Newcastle University at Claremont Tower! Christos is a software developer, blogger, speaker and all around geek. He currently works for Microsoft as an Azure Dev Premier Field Engineer. Before joining Microsoft, he was a successful entrepreuner collaborating with companies such as MarkIT, Lockheed Martin and Barclays. He's been building software for over 12 years and he's a passionate Open Source advocate. He contibutes regularly to numerous OSS projects and works closely with the developer community to make the space bigger and better. NET Core has been written from the ground up to be the best web development platform for Windows, Mac, and Linux. You can now use your favorite editor to create faster, leaner and more memory efficient NET applications that work everywhere. In this session, you'll get an introduction to the major advancements and an overview of what's changed in the new, brave world of .NET Core. You'll also get the chance to see how you can create ASP.NET Core apps that leverage all the new front-end tooling like npm, Bower, Grunt and Gulp to make development easier. This is going to be session full of demos and information that promises to rock your world! As per usual there'll be networking over pizza during the sessioin break. Christmas jumpers are optional! After a hiatus that took longer than we'd intended we're back with our November event. As usual we're at Campus North but we've got a change of date - it's a Thursday this month rather then the usual Wednesday. In todays online world, user experience is key. Users expect slick interfaces that are intuitive, informative and engaging. More and more, building apps that update the user in Realtime are becoming an essential part of this experience - and we can see this every day with things like Google Docs, Facebook Notifications, Slack and BBC Live Text. RethinkDB is a fully featured, opensource, NoSQL database designed to make developing for the Realtime Web easy. We'll talk about changefeeds, clustering and how combining with Node.js can help you avoid some of the pitfalls of building rich, engaging, Realtime Apps to scale and across multiple platforms. By the end of this talk you be ready to go back to the office and create your first Realtime App with RethinkDB and Node. Dave Mawer is a Senior Developer who has been working at Sage UK Ltd for 4½ years and is currently working on the Sage 200 team enhancing the Sage 200 product suite. His interests outside of work include cycling, following Liverpool FC and writing simple mobile applications using Xamarin. In this talk Dave will introduce the Xamarin add on for Visual Studio, explain two different approaches to writing a mobile phone application and then demonstrate implementing a simple Android mobile application to display data from a Twitter account. This session provides a top down view of the Office 365 Compliance Center, delivered by veteran Office Server and Services MVP John Timney. A business and operations focused session describing why we need to understand the key aspects of this service around archiving and retention, e-discovery, advanced e-discovery and audit. The session considers not only the features in Office 365, but the issue of legality, EU Compliance and the EU-US Privacy Shield, data sovereignty and the possible impact of Brexit on service owners. 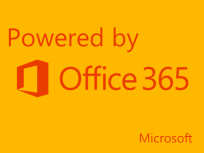 If you work in a regulated industry and are considering or have already adopted Office 365 and Azure then this is a must see session to ready you for a compliant business. The Go programming language was invented by Alan A A Donovan and Brian W Kernighan in 2007. It is Google's project, intended to offer speed and dynamic development. Now at version 1.6 it is a fairly new language and this can show at times. It works best in web service and network environments. I will start with a look at the tutorials on the golang site. https://tour.golang.org/welcome . This is an amazing site that gets you up to speed with the language, writing your code directly into the web browser with syntax and compiler help. As you work through the tutorials and do the exercises, you gain confidence. I will finish this section of the talk by completing the Fibonacci closure exercise. Then I will move onto the Latte Panda. This is a fully functional 2G/32GB Windows 10 PC, built on a card with USB, HTMI and Ethernet connection. It also includes a wifi card. All this for $109 my unit is in a cool bamboo case. I have installed the Go compiler on it and will demonstrate a web service running on it written with Go. We'll be in Campus North, most likely the classroom but the final venue is still to be confirmed. The Reactive Extensions (Rx) began as a Microsoft project and has grown into an open-source, multi-language set of libraries. Using Rx you can easily compose asynchronous, event-driven programs by building Observable streams and performing operations on those streams. If you're familiar with LINQ you're pretty much there. In this talk we'll take an introductory look into how Rx works, how you can build applications using Rx (including testing!) and take an in-depth look into how some of the key operations work using marble diagrams. Sam Hogarth is a Senior Developer at Scott Logic, where he spends his time building web-based trading platforms using React. He has five years experience working across the investment banking and applied science sectors, developing for the web, desktop and mobile. We don't have a fixed session for the second slot this month but will instead continue with Jon's Magical technology rating game that seemed to go down quite well a couple of months back. A sample code project is included as part of the talk which helps mitigate against all of these threats and more. The cloud is often presented as the cool new technology everyone should use as well as SaaS being the answer for businesses reluctant to purchase and service their own hardware. For a SaaS provider, balancing the cost of cloud computing against performance can be challenging when it's not clear of the amount of load to expect, how the system will be used or if use will change over time. Machine Learning is just one of a series of new technologies and services that are available on Microsoft's Azure platform and offers new possibilities to answer this challenge. In this presentation we'll look at an application of AML, in combination with other Azure services, that can make predictions about customer behaviour and scale out to provide a better customer experience without breaking the bank. plus years. He has experience in real-time motion control, ERP stock control and barcoding systems, software licensing, developer tooling and shrink-wrapped software. He is a Principal Developer at Sage UK, helping to deliver cloud-based business solutions in .Net on Azure. His main areas of interest are in using agile methods to help improve what we ship, XP, TDD, continuous and deliberate learning, visual thinking, design and, of course, code. He may also be hastening the coming of our robot overlords. Lets see about getting a bit of a discussion going... All will be revealed on the night! For our second meeting of 2016, NEBytes welcomes back Peter Bull, and new speaker Jon Bulmer. Groove Music is the music platform from Microsoft available on desktop, tablet, phone, console and web but also features a powerful and free to use API for developers. Windows 10 and .NET Developer, Peter Bull, will go through how to use the Groove Music API and .NET SDK and share his experiences of developing using Groove Music in his own application for Windows 10, TuneCardr. I am active participant of NEBytes and DDD North. I am a senior developer at a national company based in Teesside, I work with Code Club helping with the development of young talent coming out of our schools. This will be my first demonstration of a product aimed at helping the software developer. I have worked with Fogbugz and Kiln for a few years now and find it helpful with the management of projects.In the team environment and working on my personal projects. I will be demonstrating how I set up milestones for an objective in a project, that can be sliced up into tasks divided up in a team. Set time scales and review the outcomes of development that can bring the teams work together, ready for a deadline agreed in the milestone. This can and does work with multiple developers working with the same file or files independently. We are very pleased this month to welcome back the speaking powerhouse of Mike Taulty... Mike will be joining us to talk about the changes in the updated Universal App Platform for Windows 10... Mike will be taking over the whole session and we expect high demand so make sure you register early!